My account manager at MMI Group is very professional, friendly, knowledgeable, and always responds to my requests in a timely manner, usually within an hour or so. I have been very pleased with the service I've received from MMI Group. Working with MMI has been a complete pleasure. I highly recommend them to anyone looking to improve their marketing results. The MMI team serves as a great partner and always handles issues in a timely manner. MMI understands that their reputation is only as good as the weakest vendor they work with and is poised to continually improve upon those relationships and processes. MMI has always had a great culture to work with. Their staff is extremely knowledgeable in all aspects of the business, which helps tremendously when it comes to execution and timing of all that we do. We appreciate the relationship that we have created with MMI over the years and truly feel that we have built a great partnership. We know that when changes are made to the marketing schedule, MMI understands the reasoning behind those decisions and is willing to work with us to make sure it is beneficial for all parties. MMI's attention to detail, client focus, great personality, and professionalism are all to be respected and admired. Their out-of-the-box thinking assisted us in many situations. My MMI acount manager is a strong detail-oriented person. I was always impressed with her thoroughness and approach to client management. I am impressed by the way she adresses issues, requests, and overall planning and growth opportunities." A large, midwestern bank was dissatisfied with the direction of its existing complimentary insurance direct mail program. Over the years, the insurance marketing company it had used was marketing to a smaller and smaller percentage of its customer file. The bank turned to MMI Group for a fresh perspective. MMI realized that while many different creative mail designs had been tested, the product and offer had actually become stale. MMI tested several new offers against the bank's control. One of the new offers MMI developed was the automatic upgrade of a complimentary coverage to a higher level of coverage after an introductory period. 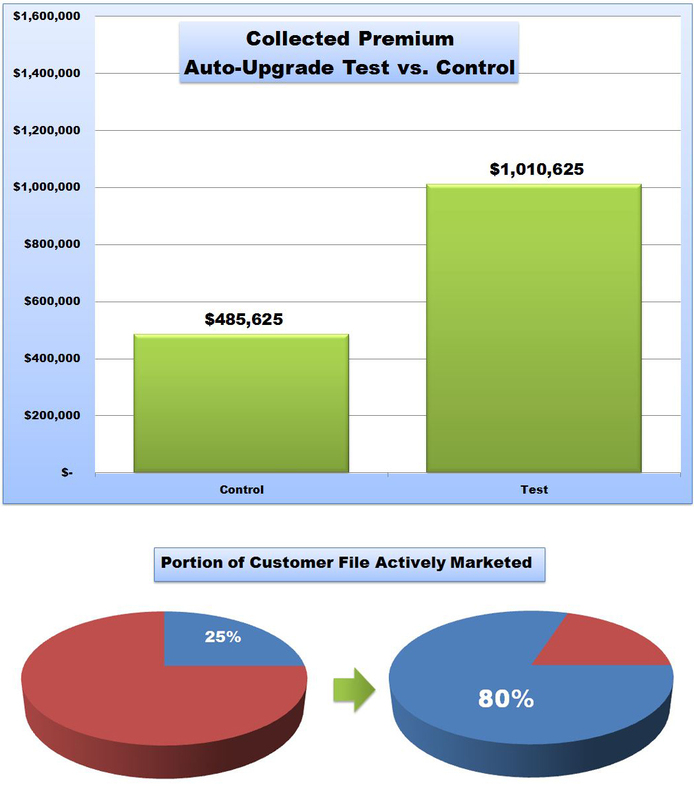 The automatic upgrade offer generated more than double the amount of premium of the control. MMI then launched a series of new creative tests and new products, which opened up cross-sell opportunities to previous buyers. The overall result of these new campaigns were dramatic. 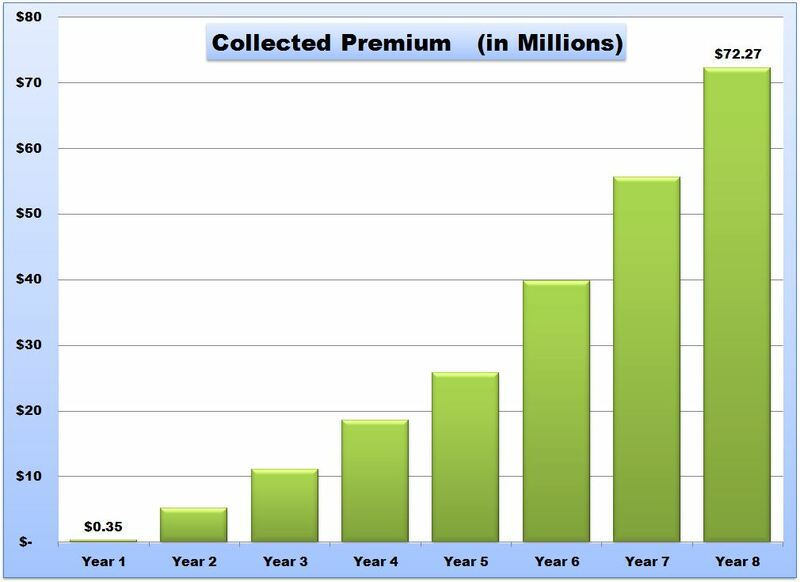 Because collected premium per mailed lead doubled, a much larger portion of the customer file was able to be marketed, from 25% of the file prior to MMI's programs to 80% with MMI. 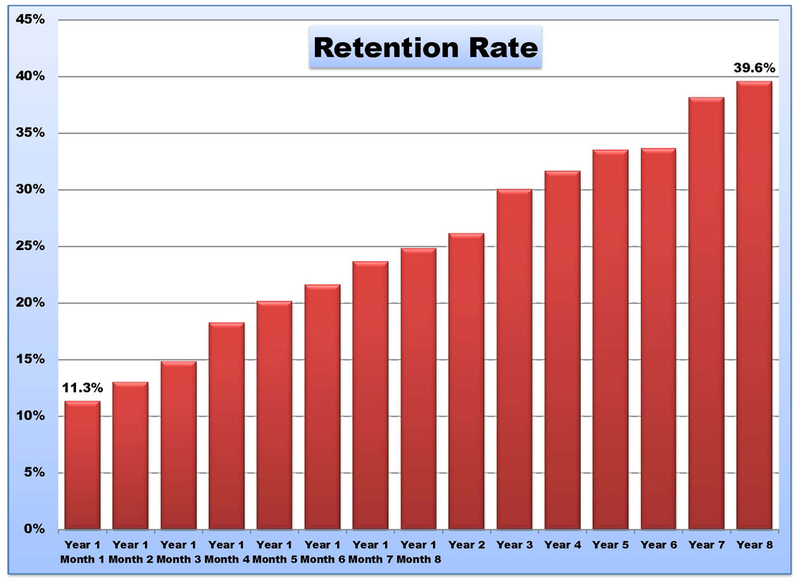 For over ten years, MMI Group has provided customer retention services for one of the largest institutions in the country. The institution was not satisfied with its internal efforts to keep customers enrolled in its programs and sought out MMI's assistance to improve quality, customer satisfaction, and persistency rates. 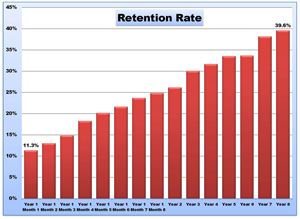 Over the years, customer persistency improved significantly due to MMI's expertise. Over eight years, MMI Group substantially grew the revenue generated by the insurnace marketing efforts of one of the largest banks in the country. The bank's willingness to test new products, offers, and channels made the relationship one of MMI's most successful ever. Premium generated in the eighth year of marketing was 209 times the level it was in year one.